Be the first to hear about their new releases and deals. 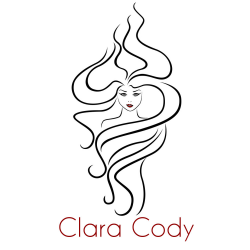 Download the Booksprout app and search for Clara Cody today! Clara has always loved anything paranormal. If it bites, so does she ;) Ghosts, vampires, shifters or witches, it doesn't matter. Throw in some sexiness and it's pure catnip. She is the author of The Thorne Bear Series and "All's Fur in Love and War", an Arcane Affairs Agency book. Oh, and she's obviously Team Spike (sorry, Angel).